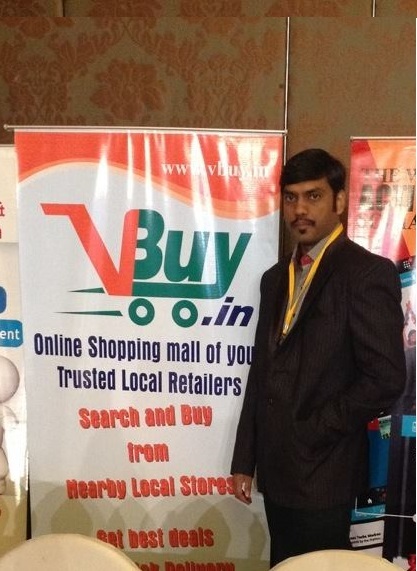 Chennai, 29th April 2015:- India’s first map based product and pricing comparison search engine of trusted local retailers, VBuy.in announced its launch. VBuy.in is a product of VS Online Services Private Limited, a technology company passionate about new technology and like to engage with businesses, which are equally passionate. This portal is a perfect source for providing accurate information about nearest retailers’selling electronics, mobiles & tablets, computers & laptops and Home & Kitchen products. Being India’s first map based product and pricing comparison portal VBuy.in is planned to address the queries related to product categories initially by providing a ROBO (Research Online Buy Offline) site. The categories givenon the website are wide and help buyers in saving their time which they may waste in going from one shop to other. VBuy.in is India’s first map based product and pricingcomparison search engine of your trusted local retailers. VBuy.in is a product of VS Online Services Private Limited, a technology company passionate about technology and like to engage with businesses, which are equally passionate. It is started with a vision that e-commerce is considered as the most convenient platform to find and buy stuff currently and to compete in this market place; traders in India should have Local Shopping Site, to compete with online markets. VBuy.in is addressing this initially by providing a ROBO (Research Online Buy Offline) site.